Petr Cech’s agent has revealed he would get in touch with Barcelona or Real Madrid if Chelsea decide to sell him in the summer transfer window. The Czech Republican international has two years left on his contract with the West London club and there has been a lot of uncertainty over his future at Stamford Bridge next season. Jose Mourinho has already admitted that Belgium international Thibaut Courtois will return to Chelsea after spending the last three seasons on-loan at Atletico Madrid. He has been impressive for the Spanish capital club and has played a key role in his side’s last season’s success, where they won the La Liga and lost to Real Madrid in the Champions League finals. Cech’s representative Viktor Kolar claims Ligue 1 giants Paris Saint-Germain and AS Monaco have already made contact in signing the 32-year-old goalkeeper. “Paris Saint-Germain have shown interest and we have also communicated with Monaco. I would get in touch with Zubizarreta (Barcelona) and people at Real Madrid. These are clubs we would consider if Chelsea wanted to get rid of Petr,” Sky Sports reported Kolar as saying. 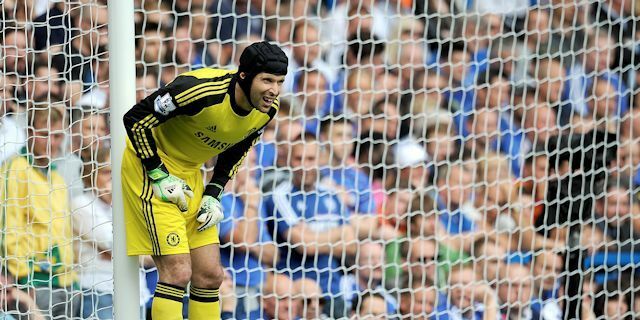 Despite the agent’s latest comments, Cech could continue at Chelsea next season. Kolar admitted the former Real manager or Chelsea have not made any indication that the Blues star’s services are no longer required at the Bridge. “Nothing changes. He has two years left on his Chelsea contract and has an interest to continue there. Mourinho did not tell him that he would not count on him anymore,” Cech’s agent said. “If he were to leave, we’re discussing two or three clubs in the world. The situation has developed in a way, of course, but for now he is staying at Chelsea,” Kolar concluded. With Courtois returning to Stamford Bridge after Belgium’s World Cup campaign, it is unlikely that Cech would be getting regular playing time under the Portuguese tactician next season. What will Brazil look to do with James Rodriguez? How will Colombia respond?